Thanks to Matt Slagel and members of the Juniata College Alumni Association who took part in a GRK stream cleanup along the Gunpowder river on April 13, 2013. 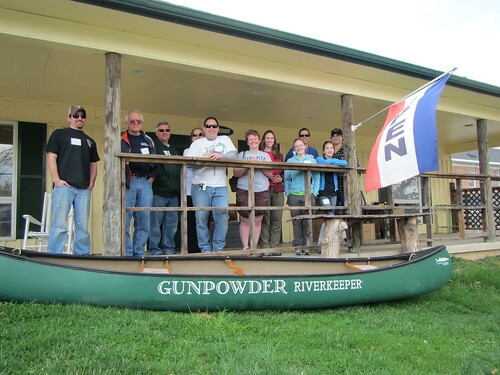 The group gathered on the porch of Backwater Angler for a quick talk about the importance of the river as a wild trout fishery and how that translates into healthy drinking water for 1.8 million Baltimore metro-area residents. All told they collected trash totaling 168 lbs comprised of 12lbs of recyclables, 125 lbs of trash and 31 lbs of tires (1 tire and 1 retread) along three access points in the catch and release area. Way to go group! This entry was posted in news on April 14, 2013 by Theaux Le Gardeur.